This year has so far been dominated by the significant political transitions in North Africa and a worldwide re-evaluation of our energy supply. Both developments have accelerated the question of our times: Where are the large sustainable energy resources of the future? I believe that the most obvious resources can be found in the deserts such as in North Africa and the Middle East. Our objective is to help making these resources available for the local population and remote markets in close cooperation with local governments and industrial actors. I am confident that Dii’s joint effort with governments and businesses will contribute to long-term prosperity. It is not only about renewable energy and climate protection, it is all about the development of new industries in the Middle East and North Africa (MENA), about investments, the creation of jobs and the transfer of knowledge and know-how. Our choice to meet in Cairo intends to illustrate that the development of renewable energy sources should first and foremost benefit the MENA region. It is now more urgent than ever that desert renewable energy will soon provide the entire region of MENA and partly EU with a secure energy supply. 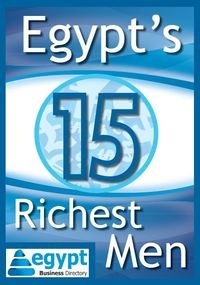 I hope to meet you all in Cairo to take definite steps towards the realisation of our vision!